We’ve all been there, ladies. You pick out a shirt that fits a little bit too tightly, or just isn’t “you” anymore. After wiggling your way into it (or doing one-legged frog jumps to squeeze into a pair of jeans), you then execute “the stare”: You look at yourself in the mirror from 6 different angles trying to decide if you can pull it off. If we’re being honest with ourselves, we all know that the mirror doesn’t lie! Enter Lorelei Savaryn. A Green Bay native who is looking to do some good by founding the first reFine Consignment Sale, coming to Green Bay March 27-29th. The purpose of the sale is to open those unforgiving closets and connect those frustrated women with each other, so we can all go home with clothing we would be proud to wear – and with a little money left in our pockets. The format is pretty simple: Come to the sale, shop for clothing that’s from this decade, and save a bundle. Plus, you get to help out other women that live here in Green Bay, just by updating your wardrobe! 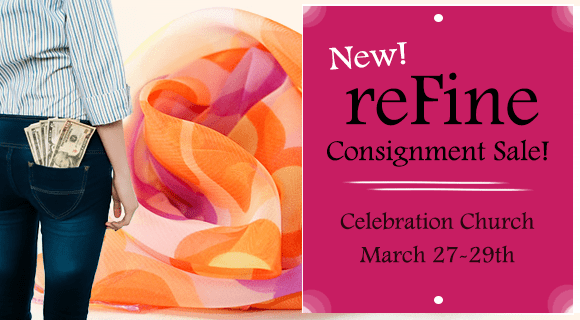 After the sale, reFine Consignment will make a donation from the proceeds to the House of Hope, a support shelter for homeless, pregnant and parenting women in the Green Bay area. Lorelei says she wants this event to be a huge blessing to women all over the area. That’s because she completely understands the problems we share. 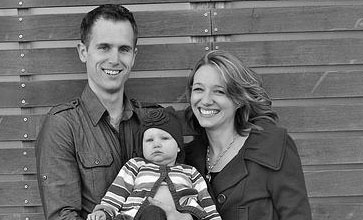 The idea for the sale came after Lorelei had her first baby. Lorelei attended similar events in other cities and discovered just how helpful they could be. She also realized that a sale like this couldn’t be found in her hometown of Green Bay. “I wanted to fill that gap because I really enjoy being able to shop at these events and have fun with my girlfriends while updating my wardrobe inexpensively,” she says. If you’ve got a closet full of quality clothes you can’t use anymore – here’s a chance to do some spring cleaning. Plus, you can still make some cash without going through the hassle of setting up your own garage sale. On the other hand, if you’re a bargain-hunting rummage sale junky who is itching for the season to get started – this is like hitting the jackpot. Plenty of good stuff, none of the outdated garbage, and it’s all for women like you. Go through your clothes and find pieces to donate. (C’mon, it’ll be therapeutic and you know it.) Pick out your clothing that is still current (purchased within the last 5 years) and fits with the upcoming spring season. Print off tags from the reFine Consignment Sale website, and tag your clothing according to their directions. Drop off the clothing on March 25th at Celebration Church and get a check three weeks later. There are specific directions on what types of clothing can be donated and how to tag, so pay attention or your clothes could get rejected. Personally, I’m thankful for Lorelei’s standards! Who wants to buy a stained shirt from the 90s, or a stretched out bathing suit?! And don’t even get me started on old bridesmaid dresses. At the very least, you will make 60% of the profits made from your clothes. You can even earn additional profits (up to 75% of each item you sell) by volunteering at the sale yourself. Why not do it? Nothing helps you feel better about yourself than by helping others. If you can’t change your body right this minute, at least change your heart. Maybe you don’t necessarily have a ton of clothes that fit the bill for this sale. That’s ok. You can still volunteer! It takes a large group to make an event like this work, and people are needed for everything from clothing sorters to greeters. Plus, reFine Consignment offers volunteer perks! For each shift that you volunteer, you also earn an extra 5% towards your own sales (up to 75%). That’s extra money in your pocket! 3. Shop for New Stuff! This one is easy. Come and shop. Find some clothing (and accessories, too) that will make you shine. Remember – this a CASH sale, so hit up the ATM before you come! Dressing rooms will be available, and you can even bring your own bags/laundry baskets/etc. to help you shop. If you don’t want to mess with researching 15 different garage sales this spring (and we all know that each sale is a risk), or dealing with the hassle of driving to all of them and haggling for a deal, then come and support this one-stop shop! I can’t think of one reason that you should ignore this sale (unless you’re a dude—then, point made). Not only does it solve an everyday problem for most women, it connects us together and puts money toward the support and services for homeless pregnant/parenting mothers in our area through House of Hope. Social: Like reFine Consigment on Facebook to stay up to date! I just love how all these connections with others are being made! Great job, Lorelei! This will be an outgrowth of God’s calling on your life. (it’s not just about your changing shape, Girl) 🙂 Jamie, this was a great article; well written and very persuasive! Praying for lots of success with this venture. I just don’t understand why everything has to be a woman’s world. Is it really so hard to take in men’s clothes as well and make it an even bigger success? Sorry you feel left out, Peter. Peter – that’s actually a good suggestion you could make to Lorelei (the founder and organizer of the event) on the reFine Consignment Sale website linked in the article. You can get in touch with her directly under the ‘contact’ tab. She did mention having a fall sale as well, so who knows – maybe you could give her the idea before the next sale. Super excited about this event! What a wonderful thing to do Lorelei! We all have stuff in the closet we A: Know is a quality item, but it just doesn’t work for us anymore. B: Paid too much for to just drop at a donation place. And C: Are left in a place of in-action because we don’t know what to do with these items. You have identified a challenge and come up with a beautiful solution for it. I am looking forward to consigning, volunteering and shopping!